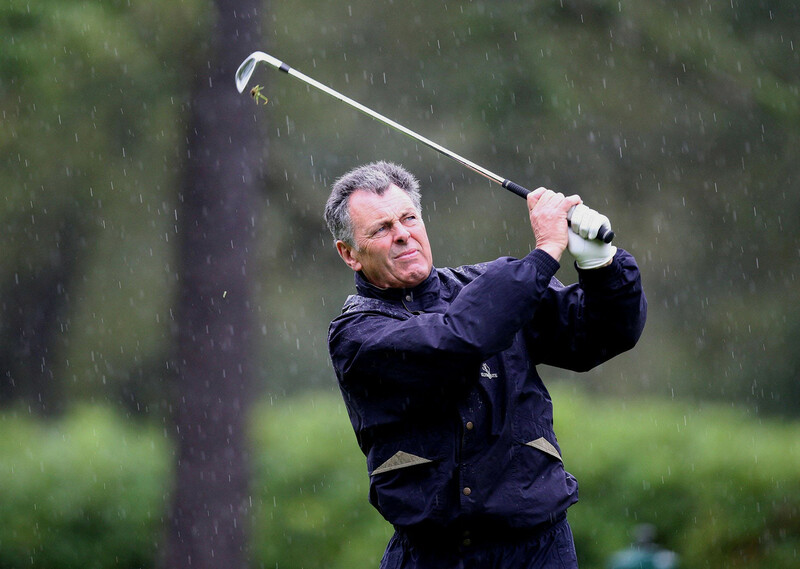 Bernard Gallacher OBE was one of the foremost golfers of his generation, a consummate competitor who graced golf courses world wide while being the Club Professional at Wentworth. But to the golfers at Back in Action he will always be remembered for leading the European Ryder Cup team to their famous victory on American soil in 1995. Bernard, now a successful member of the Seniors Tour, has used the Back in Action Mobiliser to fight a career threatening back injury. He has become such a passionate user that he has offered this commendation free of charge. "I've experienced the odd twinges in my back throughout my golfing life, but I always treated it as a bit of a joke in the way most golfers do. It was never much, just stiffness, perhaps the odd neck pain, which was heightened after practicing. Things became noticeably worse in 2000, after which I suffered four years of back and neck pain. I sought many different types of treatment without improvement. In late 2004, just before I went out to commentate on the Ryder Cup, things took a turn for the worse. I experienced intense pain between my shoulder blades and was quickly in agony throughout my back. I found it difficult to walk and almost impossible to stay still because of the non-stop pain. An MRI scan confirmed a prolapse at C5, although my Consultant said that he could tell it was a prolapse straight away because of the weakness and nerve tingling down my left arm. He also said it was going to be a two year recovery period, which left my golfing career at great risk. As luck would have it I found the Mobiliser at Back in Action while investigating a new mattress. I was sceptical that it could help and resisted attempts to get me to try it. My wife however did try it on my behalf and liked it, but I was still not having any of it. While I was at the Ryder Cup my wife took the decision for me and hired it - it was waiting at home when I returned still in agony. I'd had enough and decided it was worth any risk. My first experience of using it was very uncomfortable, my spine wasn't supple enough to accept the movements. It was verging on painful even through the pain killers I was living on. I'd been prewarned that it might hurt, so I persevered, and within two or three days of using it twice a day the Mobiliser no longer caused discomfort. I still wasn't convinced although my wife was clearly enjoying using it. Within two weeks the difference in my whole body was obvious and I began to lose some of my scepticism. I used it religiously twice a day and after a month the improvement was very great. The pain was less and my flexibility was better than it had been for years, better even than before the initial warning pains. Part of Back in Action's advice had been to consult with Dr Lady Ann Redgrave, who uses the Mobiliser with many of her patients. She has substantial experience of sports injuries, being doctor to the Olympic Rowing Team for ten years. In my case she felt the Mobiliser was working well and she found treatment to be unnecessary. Instead she created a recovery and prevention plan based around using the Mobiliser in addition to some specific exercises and Alexander Technique lessons to improve my posture. I visit her every few weeks to refine the plan and check progress. I now use the Mobiliser once a day, broken only by commitments abroad. After four months I am back playing golf and I've begun to increase the intensity of the Mobiliser to seek further improvement. I'm looking forward to renewing my play on the Seniors' tour later this year. I want to emphasise the sense of optimism that I have. The Mobiliser really helped the rehab from my prolapse and by combining this with advice from Lady Redgrave and a good Alexander teacher I am very optimistic of recovering more quickly. I feel all three are a permanent part of my regime to prevent a recurrence and to keep my back supple. I've become aware how golfers assume that increasing age means decreasing ability. Yet I've found out for myself that it is possible to restore spinal flexibility. I can strongly recommend the Mobiliser! Not only to any golfer who wants to recover from back injury, but to those who find their enjoyment of this great game is limited by not being able to rotate fully and freely."